Different types of hard and soft waxes are used in wax ribbons. 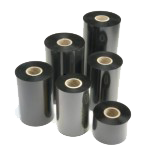 They are generally used for short term applications where the image is not required to stand up to repeated scratching, contact with chemicals, or high temperatures. 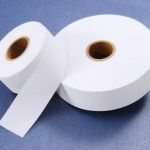 Wax ribbons can be printed on a wide range of label stocks, but the most common and economical match is coated paper. Typical applications include compliance labeling, and shipping labels. 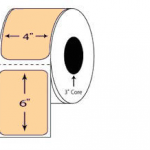 Be the first to review “Zebra Thermal Transfer Ribbon (4.33″ x 984′, Wax, 334C Green, CSO, 32 rolls available)” Click here to cancel reply. Avery Dennison 4800TWT Polyester Thermal Transfer Printable 2" X 334 yds.